The look at Alice + Olivia was inspired by studded black leather. 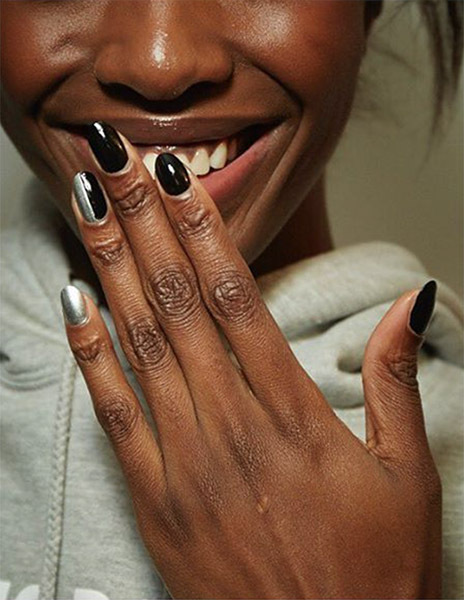 The essie team used shades Licorice and Good As Gold to create the nail. At Monse Maison, Remark and team went for a color blocked design that was meant to look black as the models walked toward the crowd, but silvery chrome as they walked to back down the runway. 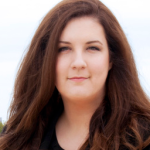 At Tanya Taylor, manicurist Julie Kandalec created a wide french with a deep smile line over a soft square shape. This bold color blocking used essie shade “Go Overboard,” and provided a bright exclamation point against the colorful palette of the clothing. 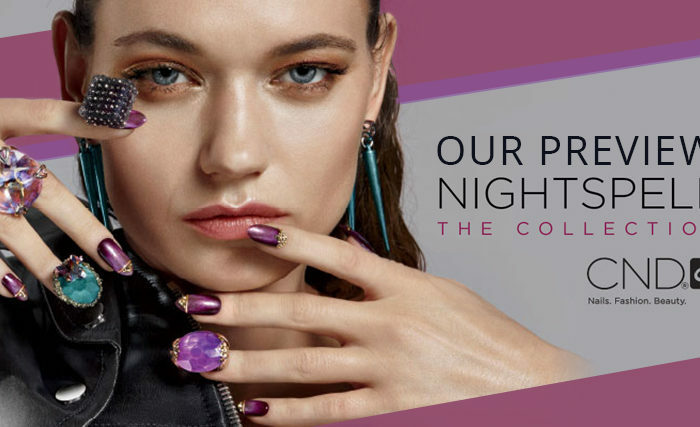 JinSoon Choi and team showed an interesting take on the trend with a single nail polished in a bright shade on each hand. We expect to see this trend everywhere this summer, which will be easy to recreate in the salon. 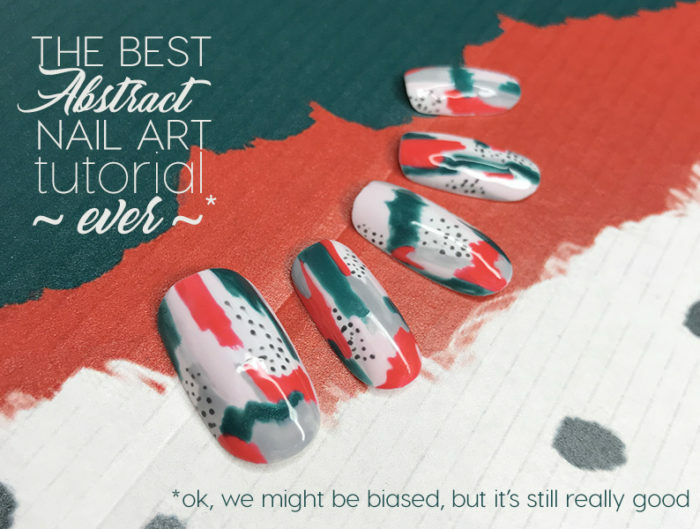 A neutral manicure with one bold slice of bright on one finger. 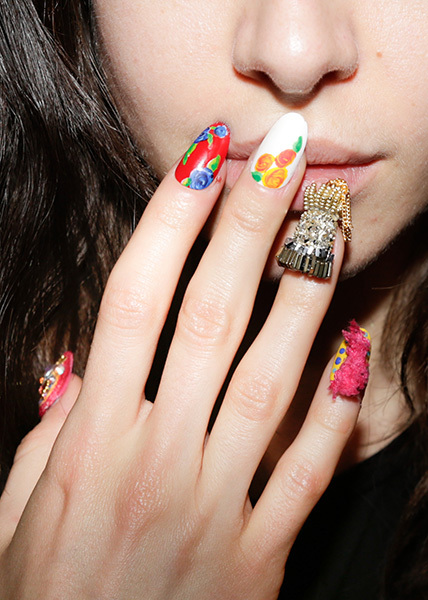 Basic nail art shapes were presented in not-so-basic ways on the runways of Jeremy Scott and Tommy Hilfiger. Even though the shows were on opposite coasts, the starlet trend was one of the strongest statements this season. 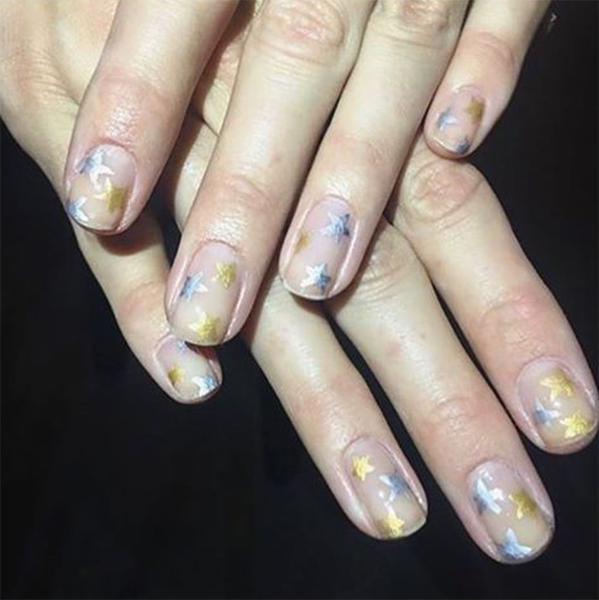 At the Tommy show, lead manicurist Mar y Soul Inzerillo used China Glaze silver shade “I’d Melt for You” and a custom-mixed gold that was a blend of a yellow-gold pigment powder and topcoat to create the hand painted stars. The jury is out whether this custom gold color will be released in a future collection. 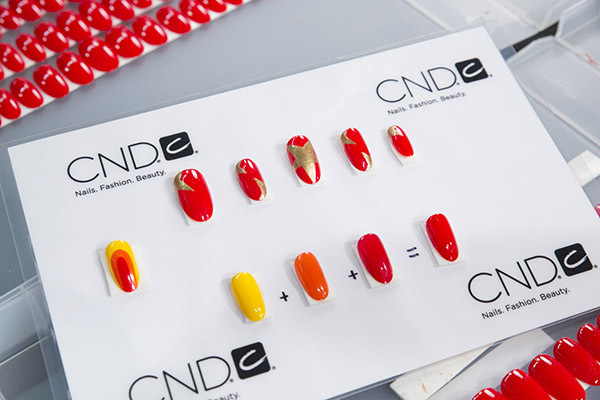 At Jeremy Scott, lead manicurist Miss Pop, Creative Ambassador for CND, used a custom blend of three Vinylux shades to achieve the perfect “sun-soaked” red. Layering “Banana Clips,” “Electric Orange,” and “Wildfire,” she made a bright, orangey red that was the only color not represented in the clothing. 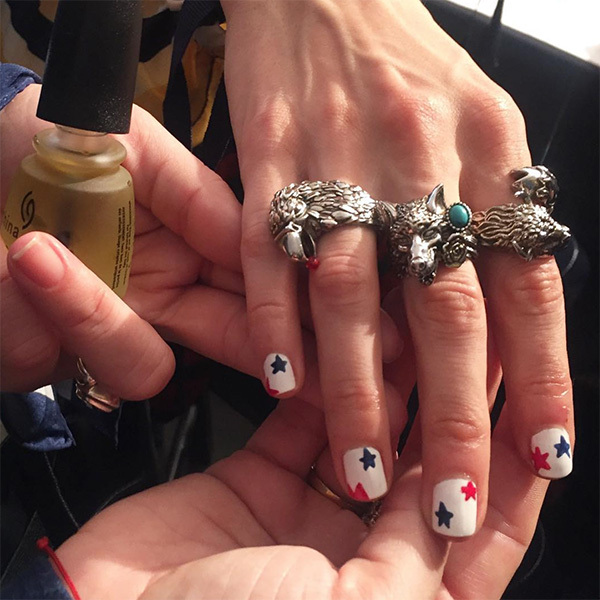 Some models wore just the straight red color on a soft almond nail, and others had golden stars created using Vinylux Locket Love. 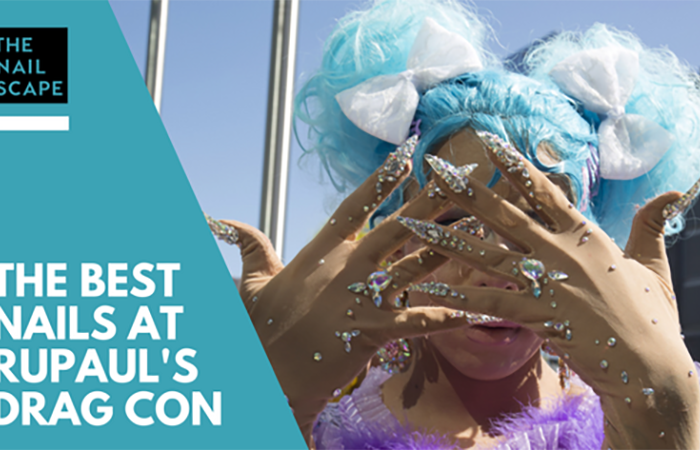 Drawing inspiration from the Hollywood Walk of Fame, and the stars on dressing room doors, the stars peeked in from corners on some nails and covered others. 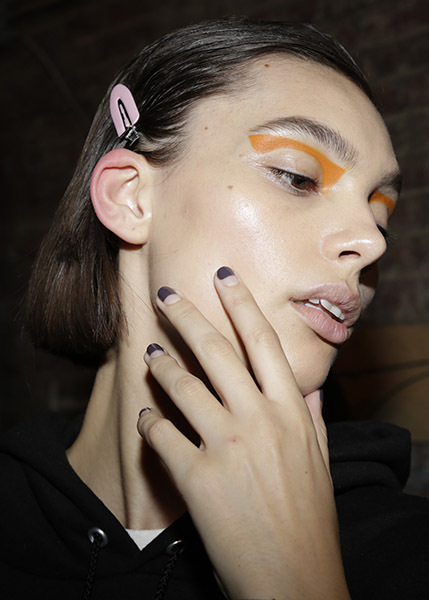 Team JinSoon used grey polishes in a negative space graphic slash at the Prabal Gurung show. Models wore differing shades of grey to complement the graphic makeup.